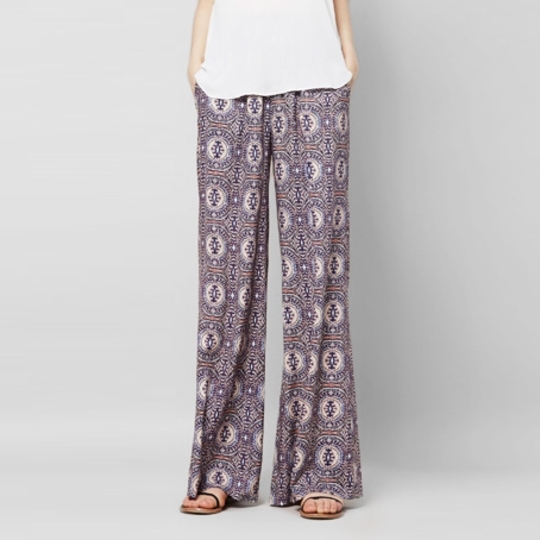 This stunning palazzo pant is a go-to statement piece. 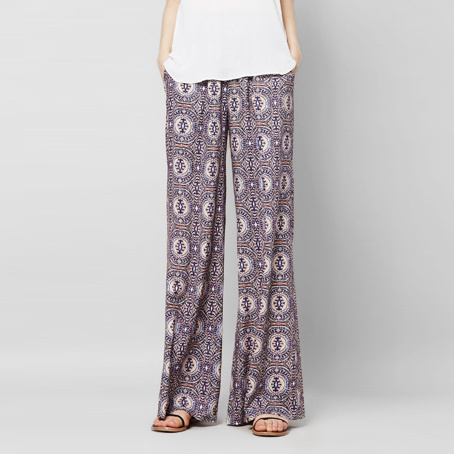 The beautiful print and loose, flowy legs ensure you'll be comfortable and chic. 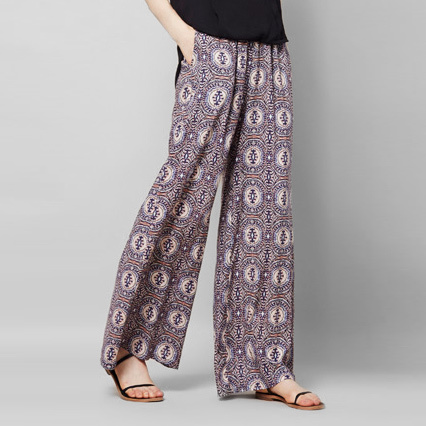 With the dressiness of a skirt but the ease of pants, these can go from the office to evening without missing a beat.